Recent online poll shows discrepancies between public opinion and actual need. 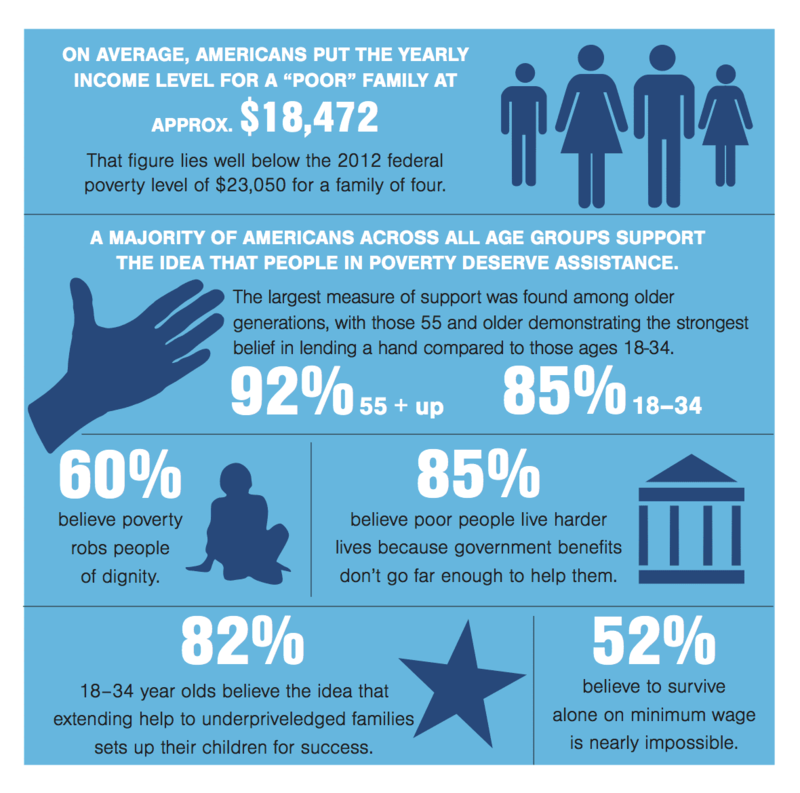 With a record 49.1 million Americans—approximately 1 in 6—currently living in poverty, the issue has taken on an increased urgency, along with a need highlight potential solutions. To compare and contrast the reality of living in poverty, as illustrated by the Human Needs Index, with public opinion, The Salvation Army recently commissioned the Perceptions of Poverty poll. Its results revealed a public that is frequently sympathetic, but at times misunderstands its neighbors in need. A note on methodology: the survey was conducted online earlier this year on Vision Critical’s Springboard America panel and included a sample of 1,004 Americans. The data has a margin of error of 3.1 percent.